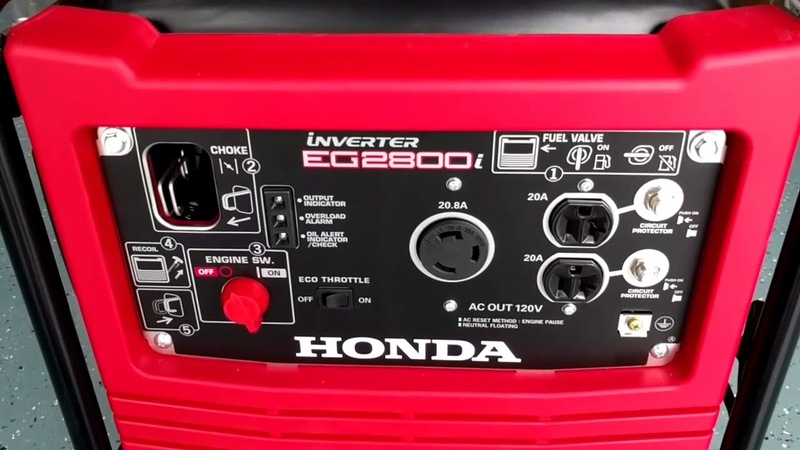 The home backup-focused EG2800i and job site-ready EB2800i are recent additions to Honda’s generator line up, providing the self-grounding and tough construction of a frame generator in a lightweight package. If you own or are buying one of these generators, there are a few things you should know about these units to get the most out of them. Carbon monoxide from the exhaust can kill you in a matter of minutes, even if it’s running in a garage with the door and windows open. 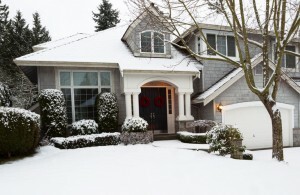 Always run the generator outdoors at least three feet away from buildings. 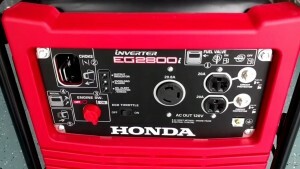 If you just got this generator, take a look at our earlier article on setting them up. Oil needs to be added to the engine before its first start-up. Most of the controls can be found on the panel at the front of the generator. Circuit protectors: Just to the right of the receptacles. Starter handle: On the right side, next to the control panel. Dipstick/filler cap: On the left side near the base of the engine. The Oil Alert system will cut power to the ignition if the oil level is too low to protect the engine. If the system is tripped, it will switch on the bottom indicator light. Even if it hasn’t been tripped, it’s a good idea to check the oil level before starting the engine. Before starting, make sure the generator is at least 10 feet away from fuel containers to prevent the ignition of gas fumes. The fuel lever and engine need to be switched on for the motor to start, while the Eco Throttle should be off. If the engine is cold, the choke rod should be pulled out to the “Closed” position. Once the engine is running, if everything is working correctly, the “OUTPUT INDICATOR” light should be green. Unplug all cords from the outlets and turn the engine switch to “OFF.” If you won’t be using the generator for a while, turn the fuel lever to “OFF” to keep fuel from leaking into the carburetor. Both the EB2800i and EG2800i have a maximum output of 2,800 watts. With 120 volt appliances, that’s equivalent to 23.3 amps. Power draw at this maximum load should be kept below 30 minutes at a time. 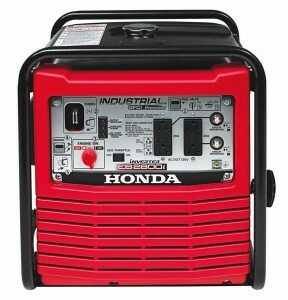 For longer power use, the maximum draw should be limited to 2,500 watts or 20.8 amps. If there is a short or the power demand exceeds 2,800 watts, the Overload Alarm in the middle of the indicator lights will switch on, and the circuit protector will trip. Electric motors are reactive loads: they take more power to start up than they need to run, causing spikes in electricity demand. Motors are used in air conditioners and refrigerators as well as more obvious appliances like drills and mixers. 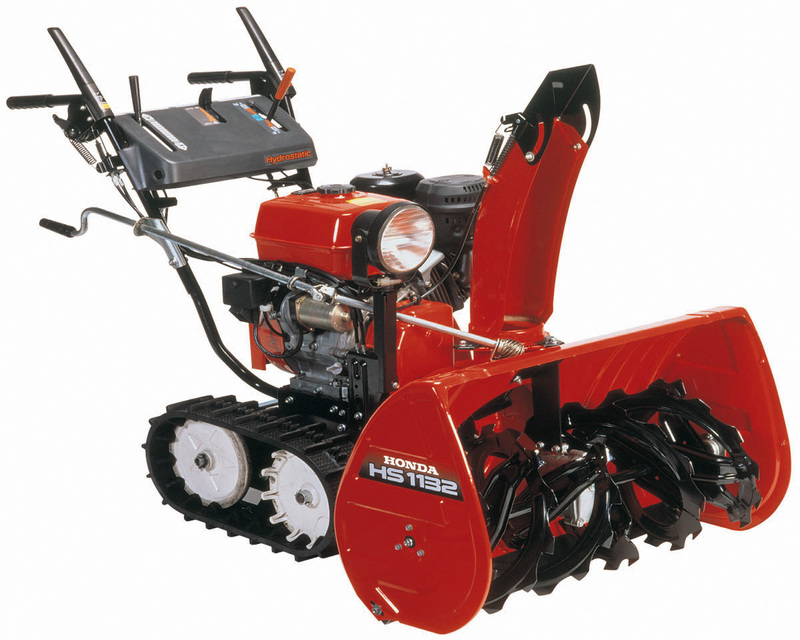 When switched on, the Eco Throttle automatically reduces engine speed to match generator output to the current load. This conserves fuel, reduces noise and saves wear and tear on the generator. Eco Throttle should be switched on once the engine is running. 3. Make sure the circuit protection is on for both outlets by pushing in the buttons. 4. Push the “TEST” button in the middle of each outlet. The “RESET” button should pop up, and a small green GFCI LED next to this button will light up. Push the RESET button back in to use the outlet. If the reset button won’t push down or the GFCI light stays on after reset, the generator should be inspected and repaired before use. 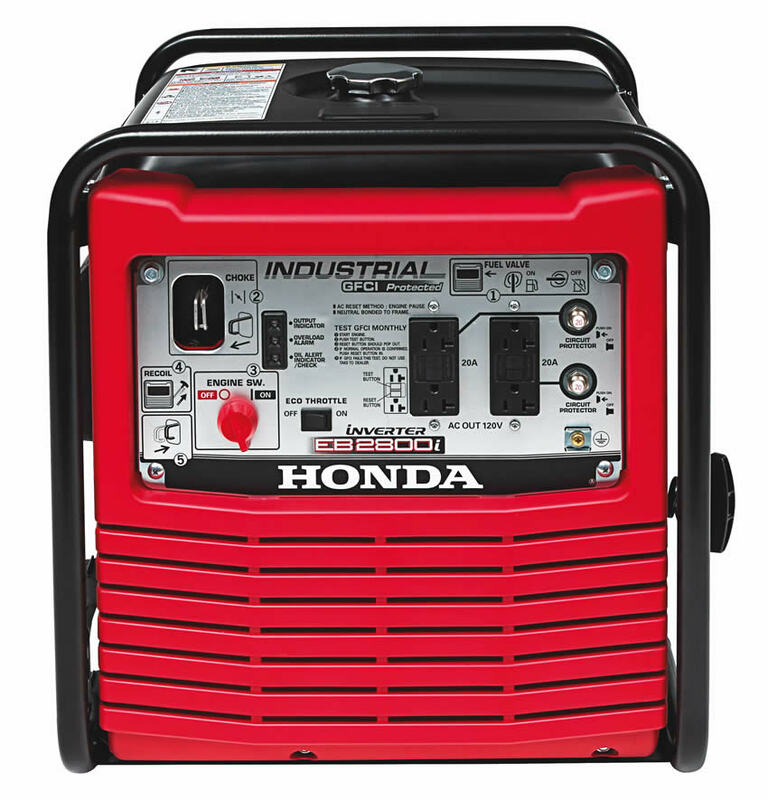 These generators are grounded to the frame, which in almost all cases is enough to meet the grounding requirements for the National Electric Code (NEC) and OSHA so long as the generator is sitting on the ground. If external grounding is needed, a wire can be connected from the grounding terminal to a grounding electrode. 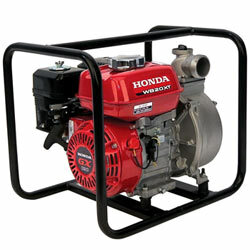 www.hondalawnparts.com is a certified dealer for Honda Power Equipment so we can provide you with factory original replacements for everything on your generator. With built-in factory parts descriptions and diagrams, it’s easy to find exactly what you need, and we can ship your order to any address in the U.S. or Canada.